“Source of money had never been the sole consideration, and is only merely one of the relevant considerations but not determinative in character” The Supreme Court has observed that mere financial assistance to buy a property cannot be the sole determinative factor/circumstance to hold the transaction as benami in nature. 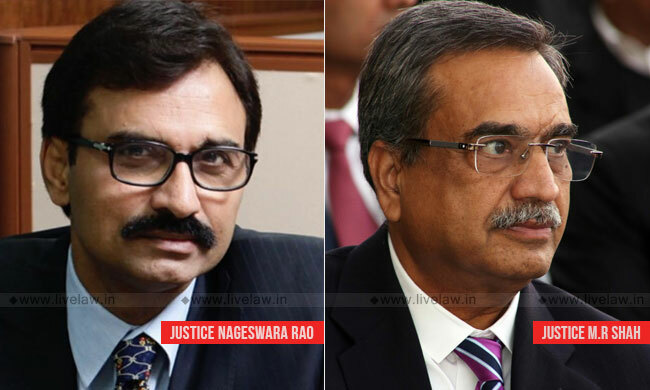 The issue before the bench comprising of Justice L. Nageswara Rao and Justice MR Shah in an appeal arising out of a suit filed by a lady (P. Leelavathi vs. Shankarnarayana Rao) against her brothers was whether the transactions can be said to be benami in nature merely because some financial assistance has been given by the father (Late G. Venkata Rao) to the sons (defendants) to purchase the properties, subject matter of the suit (filed by his daughter, claiming share in these properties) The bench referred to judgment in Binapani Paul v. Pratima Ghosh that had held that the source of money had never been the sole consideration, and is only merely one of the relevant considerations but not determinative in character. It also reiterated the observations made in Valliammal v. Subramaniam, which delineated six circumstances to check whether the transaction is benami or not. The source from which the purchase money came; the nature and possession of the property, after the purchase; Motive, if any, for giving the transaction a benami colour; Position of the parties and the relationship, if any, between the claimant and the alleged benamidar; Custody of the title deeds after the sale; Conduct of the parties concerned in dealing with the property after the sale. The bench also took note that G. Venkata Rao had given financial assistance to the plaintiff (his daughter) and her husband to purchase the residential house at Bangalore and therefore must also have given the financial assistance to sons and helped them in purchase of the properties. It said: “It is true that, at the time of purchase of the suit properties, some financial assistance was given by Late G. Venkata Rao. However, as observed by this Court in the aforesaid decisions, that cannot be the sole determinative factor/circumstance to hold the transaction as benami in nature. The plaintiff has miserably failed to establish and prove the intention of the father to purchase the suit properties for and on behalf of the family, which were purchased in the names of defendant Nos. 1 to 3…….Therefore, the intention of Late G. Venkata Rao to give the financial assistance to purchase the properties in the names of defendant Nos. 1 to 3 cannot be said to be to purchase the properties for himself and/or his family members and, therefore, as rightly observed by the High Court, the transactions of purchase of the suit properties – Item Nos. I(a) to I(c) in the names of the defendant Nos. 1 to 3 cannot be said to be benami in nature. The intention of Late G. Venkata Rao was to provide the financial assistance for the welfare of his sons and not beyond that. As none of the other ingredients to establish the transactions as benami transactions, were satisfied in this case, except that some financial assistance was provided by Late G. Venkata Rao, the bench held that plaintiff has no right to claim share in these properties.